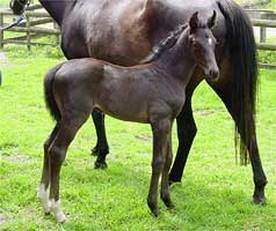 Filly by Gymnastic Star ex Welt Liebe by Weltmeyer - an embryo transfer foal. 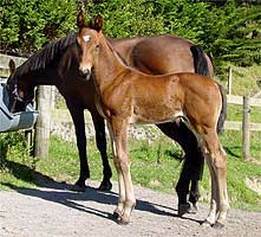 Bay with 2 white sox, star and snip. 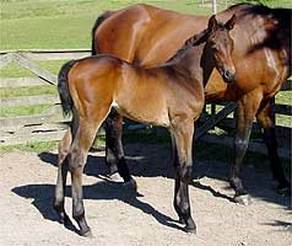 She has amazing elevated movement and was very cheeky as a foal. 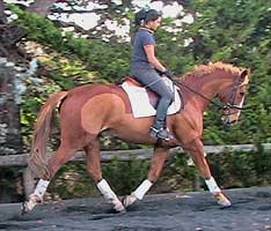 Ghia has recently been started under saddle and is working well. 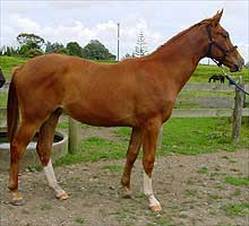 She will probably mature to around 15.3hh. 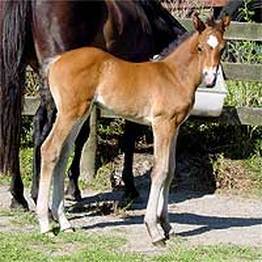 Will make a wonderful smaller dressage or show horse.